Generate more traffic and leads by ensuring your property’s classified ads are visible and easy to search with Rooof PostEngine, Auto-Renew feature. 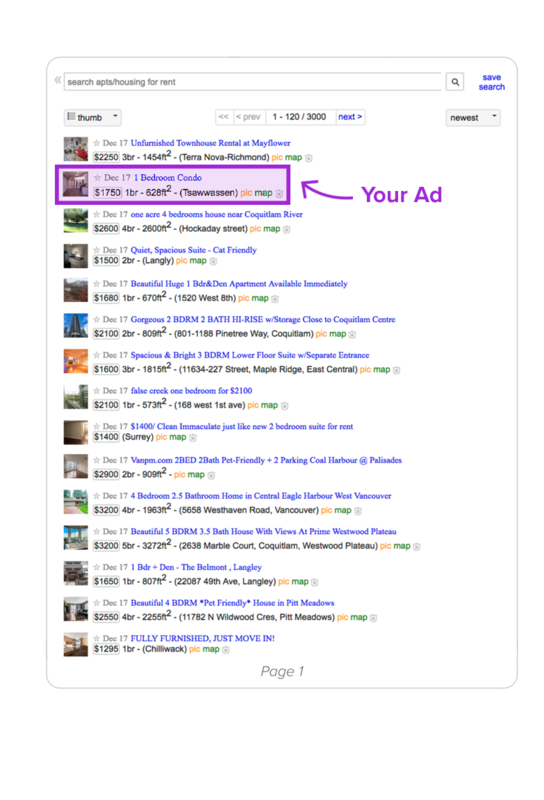 Any new classified ad posted digitally starts out as highly visible on page one. 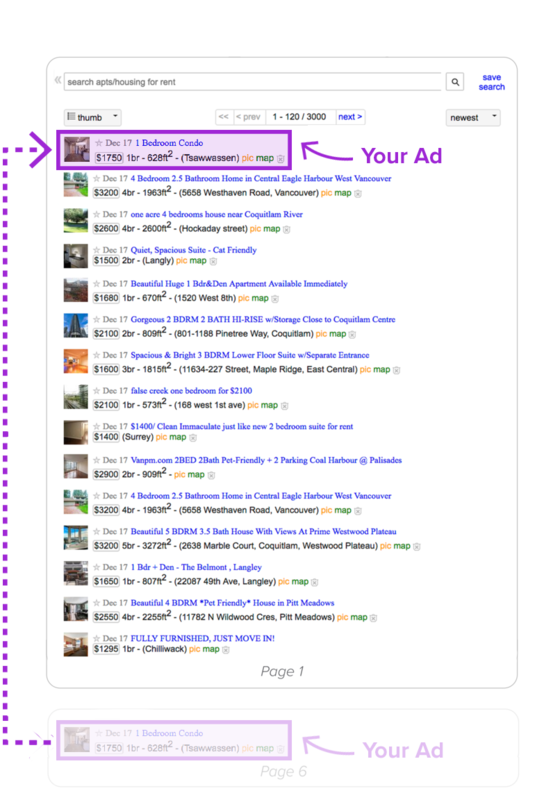 As time goes by however, ads fall further down the page behind newer ads making them difficult to see or search for. Classified ad site rules only allow users to renew their ads manually, every 48 hours. The challenge with this approach is that ad renewal requires manual intervention and is time consuming. Plus, if you happen to post the same ad too soon or too frequently, your ad may be ghosted (hidden) or flagged (removed). Rooof PostEngine Automatic Renewal (Auto-Renew) feature solves the challenges mentioned above by keeping your property ads visible on page one, while also protecting them from being flagged or removed. The Auto-Renew feature checks your account for eligible ads and automatically renews those ads for you (within classified ad posting guidelines).